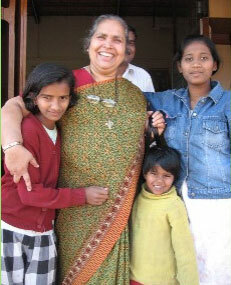 Sister Lucy, founder of Maher Communities, will be in Seattle. Maher (which means Mother’s home) is a network of communities for abandoned and abused women and children in the rural areas outside of Pune, Maharashtra, India where they have spawned over 500 self help groups. What an inspiring model for sustained cultural transformation based on unconditional love, deep inter-spirituality for all casts and classes. Sister Lucy will share her story — as well as the amazing Gaus Sayyad and Mangesh Pol, also here visiting from India. These two extraordinary young men grew up at Maher and their stories will touch your hearts and leave you feeling inspired. Plus you’ll hear about the Global Citizen Journey delegating going to Maher in January and the opportunities to join.